The following sections describe the four major types of medications used to treat bipolar disorder: mood stabilizers, antidepressants, antipsychotics, and antianxiety (anxiolytics). These medications are the main tools for controlling bipolar disorder. 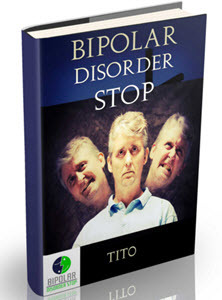 Used individually or in combination, these medications provide a way for you to manage your bipolar disorder. Other medication tools also may be used to treat additional symptoms. Before we describe in more detail the types of medication, their purposes, and some side effects, we should first provide some important information about the names of these classes of medication. Drugs often are classified according to the purpose for which they first got approval for use in the United States. Although many drugs are found to have a variety of uses in addition to this first use, the original name sticks. Because of this, doctors often use drugs classified as antidepressants to treat anxiety and drugs called anxiolytics to treat insomnia. For this reason, it is extremely important for you to know the purpose of a medication, not just its name. It helps to try to have a sense of humor with the well-meaning people who may question your medications because they take these classification terms at face value. For example, a family member may wonder why you are taking a medication for anxiety when you have bipolar disorder. Similar questions about your medication may arise when you pick up your medications at the pharmacy, when you share the names of the medications with your friends or family, or even when you see your primary care physician. When there are questions about your medication, speak to your doctor before you make any changes.